The Flower Cabinet is a unique piece. It is semi-circular in shape and can be placed anywhere in a room, as a divider or in a round or square corner. 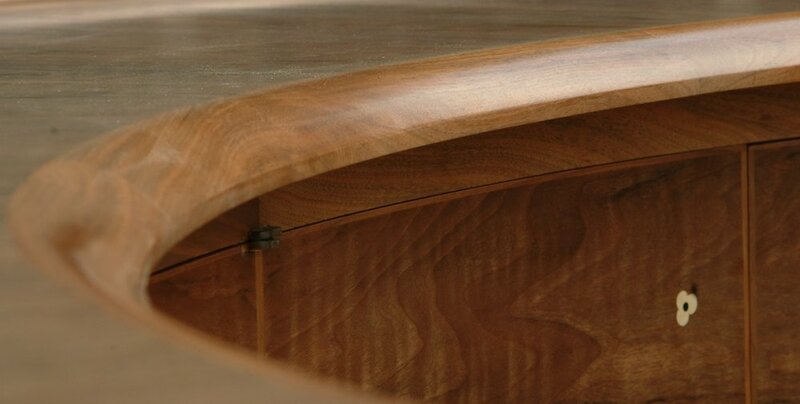 It is made from the most glorious English Walnut, with a ripple sycamore interior and hand made hinges. It is well traveled. Chosen to represent the British Furniture Industry, it was the centre piece in the British Pavilion at High Point. North Carolina in 2005. 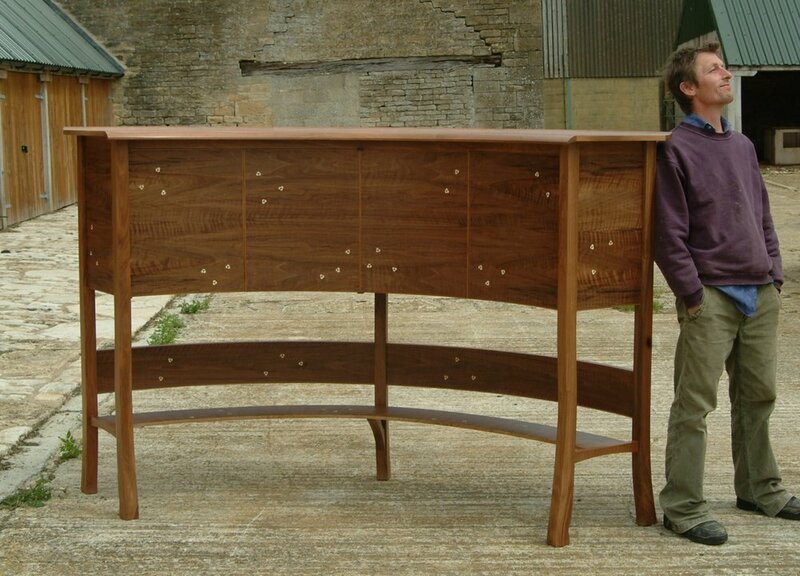 Included on the page is a picture that includes it's maker, who is John Ineson, to give you an idea of its' scale. It now deserves a good home.